Kenra Professional offers specialized salon hair care targeted to your hair's specific requirements. My hair, thanks to my penchant for bleach and blonde requires products that help to strengthen, reinforce it's structure and impart softness and shine. 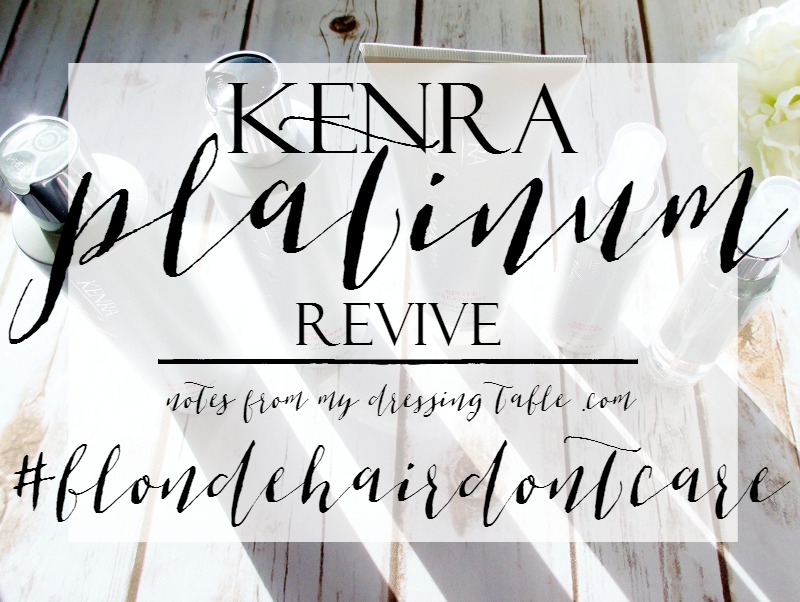 Created to care for fragile blonde hair, Kenra Professional Platinum Revive line does just that. I received five full size products to take out for a spin and I thought perhaps I'd share my thoughts. I have been using the Revive Shampoo, Revive Conditioner, Revive Treatment, Revive Complex and the Revive Oil. Used in concert, these products can make blonde hair look and feel great. Kenra Platinum Revive Shampoo. Free of Parabens, Sulfates and Sodium Chloride this shampoo penetrates the cortex of the hair shaft, to repair and enhance elasticity and strengthens the cuticle from within to reduce breakage up to 95% after the first use. This creamy, pearly formula forms a satisfying lather, rinses clean and leaves my hair fresh, light and bouncy with a silken, stronger feel. Wet slip on my wurly, tangle prone hair is about non existent. Kenra Platinum Revive Conditioner. This creamy formula soothes and conditions hair as it preserves it's moisture levels for increased vibrancy and elasticity. This conditioner enhances the strengthening effect of the shampoo however, wet slip both with the conditioner in my hair and for comb out after blotting is only fair, at best. 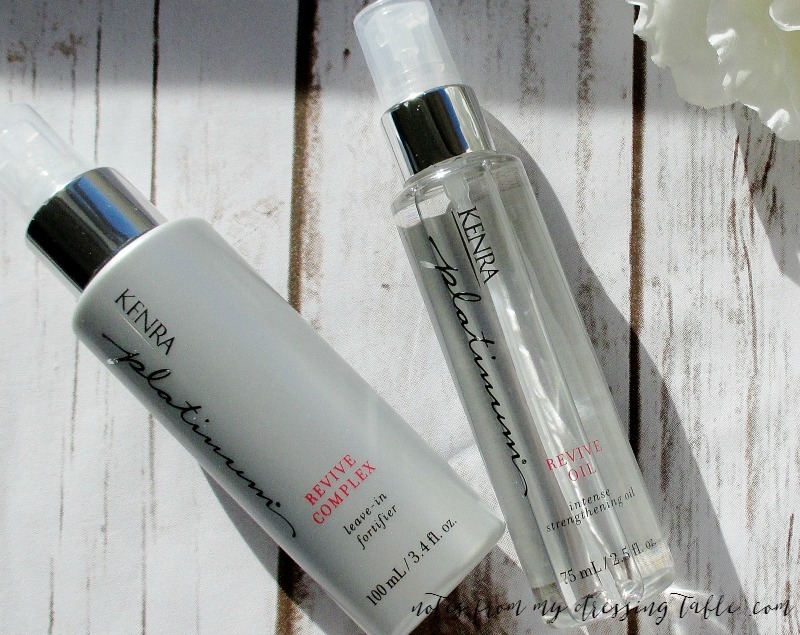 Kenra Platinum Revive Treatment is a tall glass of water for parched tresses. This nourishing treatment drenches hair in moisture, targeting damages areas to strengthen and temporarily repair, resulting in increased suppleness and vibrancy. Saturate every strand in this thick, rich treatment and let it do it's thing for five or ten minutes, rinse out and feel the difference in your hair. This stuff gives me decent in shower and damp comb out slip for easier detangling and styling. Kenra Platinum Revive Complex is a lightweight, targeted leave in fortifying treatment that hydrates, perfects and improves the appearance of dry, brittle ends. A small amount run through the hair hydrates and provides protection against heat styling. I must say, my ends do feel a bit better since I've been feeding them this leave in. Kenra Platinum Revive Oil. Well, hello gawgous! This lightweight, silky oil treatment slips into my hair to further smooth, soften and enhance the effects of the other products in this line. It also plays very nicely with products from other brands. Shhh! Don't tell anyone I told you that. This intense strengthening oil treatment can be applied to wet hair before styling then a little bit after, after to finish and put the final polish on my style. I am a hair oil fanatic and this one makes me happy. 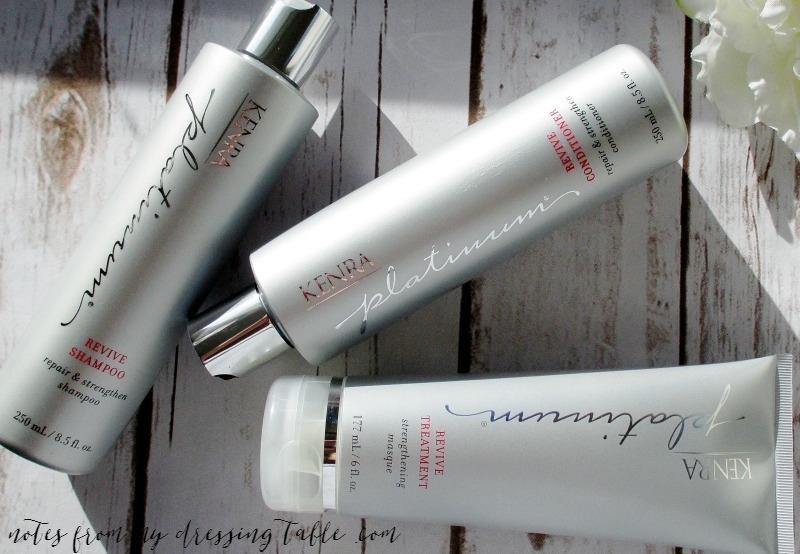 I am enjoying the Kenra Professional Platinum Revive line of products and I recommend that if you're on the lookout for something scrumptious for your blonde strands, you pick up and give this line a whirl. You can find them at salons that carry Kenra Professional products. To learn more, follow Kenra Professional on Facebook, Twitter, Instagram, Pinterest and YouTube.